Competition law underpins the market economy by prohibiting anti-competitive agreements and practices, and the abuse of dominant positions in the market. Until the financial crisis it was widely assumed that the financial services industry was highly competitive. This book explores the extent to which this is the case. 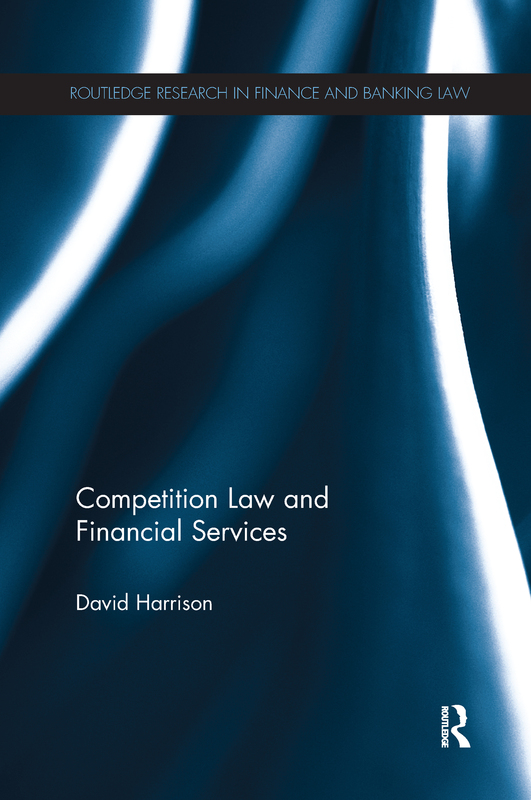 By analysing crisis and pre-crisis competition law cases and examples from the UK, the EU and around the world, David Harrison asks whether there exists good reason for financial services to be treated differently from the rest of the market economy. The theory of market efficiency is not borne out in practice. He particularly draws upon John Maynard Keynes in examining the differences between price mechanisms in product markets for "normal" goods, and price mechanisms in financial and investment markets where expectations of the future tend to play a greater role, leading to greater price fluctuations. In this evaluation, the book examines aspects of the practical functioning of capital markets such as the phenomenon of herding behaviour by financial participants, how short-term behaviour by intermediaries can be to the disadvantage of savers and productive investment, the relationship between investment markets and product markets and the extent to which the same competition rules apply to undertakings involved in both. The book will be invaluable to students, researchers and practitioners of banking and finance law, and commercial and competition law.